David Bennett, President and CEO of the Pinellas Realtor Organization, provides a monthly statistical study of our local market activity, month over month, and year to year. His recent study summarizes: “The Pinellas County real estate market is continuing to see the trend of higher sale prices and a shrinking inventory for both the Single Family and Townhome/Condo segments. The Median Sale Price for Townhomes/Condos was $159,000 for March 2018, up 14.4% from $139,000 in March 2017. The Median Sale Price for Single Family Homes was up by 8.7% from last year, at $250,000 for March 2018 versus $230,000 for March 2017. The Months Supply of Inventory for Single Family Homes is down 14.8% year-over-year, with a 2.3 Month Supply this March, as compared to a 2.7 Month Supply in March 2017. The Months Supply of Inventory for Townhome/Condo also fell 17.6%, from 3.4 months in March 2017 to 2.8 months in March 2018. Real estate markets are local, often seasonal as we know, and isolated communities can be challenged by other events more or less significantly than surrounding areas, such as Hurricane Irma or flood insurance concerns. A local market can experience its own over supply or under supply within any overall strong real estate market. 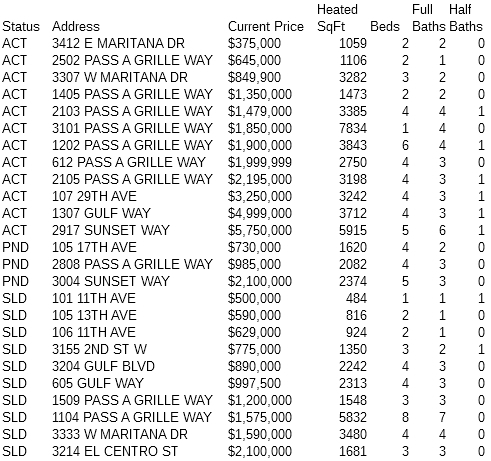 Using data searches on the Florida Regional MFRMLS system, I’ve generated 2 graphs specifically for the Pass-a-Grille/Don Cesar/Vina del Mar real estate market where I live. Visit my website http://GulfToGlobalRealEstate.com to research your neighborhood market, or build a preliminary Comparative Market Analysis for your own home. When you are ready to sell, call me for more in depth analysis, projections, and targeting your most successful sales position in your market. I’m fortunate to be directly engaged with global minded professionals as a Director on The Pinellas International Council of Realtors. At the end of 2017 our local International Council was awarded Platinum by the National Association of Realtors for our achievements and execution of mission. Please visit the PIC website,and see what we do….https://pinellasrealtor.org/pinellas-international-council, and visit the PIC Facebook page. On May 6 Realtor.com published a report by Nicolas Bedo (www.realtor.com/research/international) on International Demand, March 2018. Tampa/StPetersburg/Clearwater has moved up to position 11 of all Top US markets for International Traffic. In the entire state of Florida, our Tampa Bay rating is only surpassed by the greater Miami (4) and Orlando (7) real estate markets as the area where international real estate buyers are shopping for a home. What do you think of when you hear the phrase “staging” a home? Certainly a home that is empty sells better with some furnishing. Empty is somehow sad. Often real estate agents suggest hiring a professional designer or “home stager” with interior design contacts. 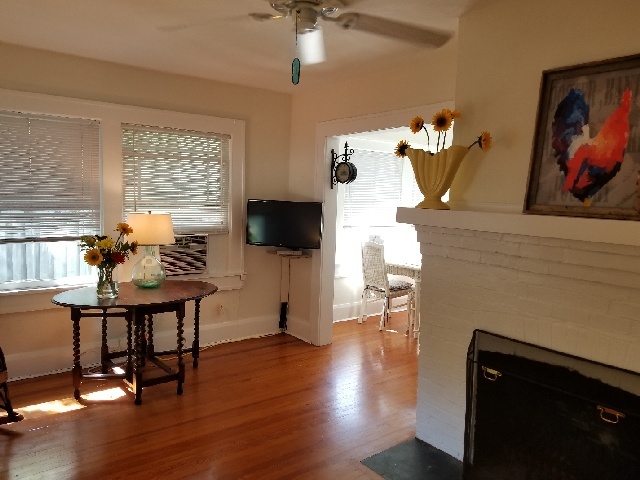 Often this is not in the seller’s budget. Actually Staging means preparing a home to show, and it does not mean literally, “furnishing.” It means clearing out clutter and leaving a generally sparse canvas where the buyers’ vision takes over. It means simplifying so that essential spaces are defined without clutter, where air, freshness, cleanliness, light, utility, even whimsy, translate into a pleasant invitation. Sometimes an agent and homeowner will engage a “home stager” who simply counsels sellers about things the agent is uncomfortable to tell them. Don’t take it personally, don’t pay someone else to tell you what the agent should tell you, “clear out and clean up.” No hurt feelings!… Admit it, this simple advice generally applies to every one of us when we prepare a home for sale. Often a good friend or our agent can help us “see” what we need to do..
Work with your agent to determine how to simply and tastefully arrange your rooms so buyers… other people… sense the space and envision living there with their stuff. Serious buyers do not come to see your furnishings. And literally Everyone appreciates a home that is fresh, clean, airy, bright, inviting. Avoid anything that can detract in any way. 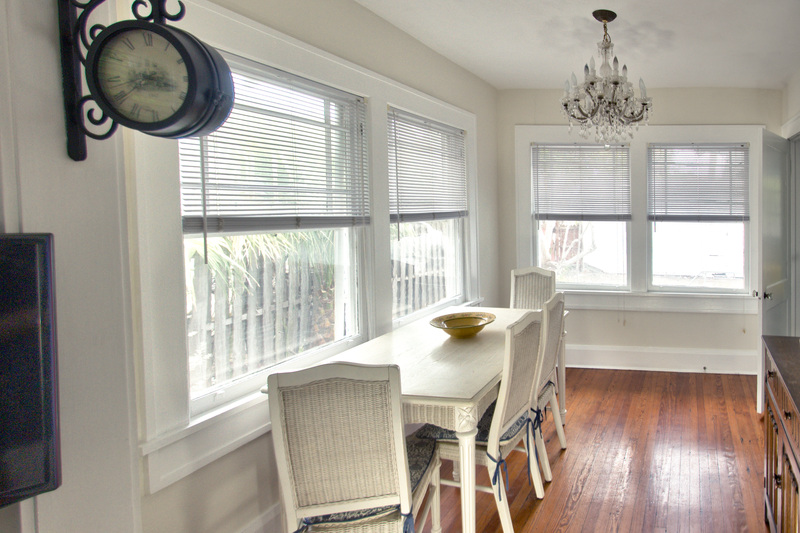 Fresh paint, sunlight, a spotless kitchen and bath…you can’t go wrong . Pay attention to the exterior appeal of your home…You may need to pressure wash and/or freshly paint the house. For general appeal a light sunny neutral color will work best.Clear driveways, manicure the yard, pay special attention to the entry sidewalk and door. Paint or replace the front door and any shutters if necessary. The interior should be immaculate, walls and ceiling unstained and if needed, freshly painted a neutral color. Flooring should be clean and not show traffic patterns. Clean and fresh always wins over worn/used or cluttered, every time. Limit furniture in each room, simply focus on giving buyers a dimensional perspective. 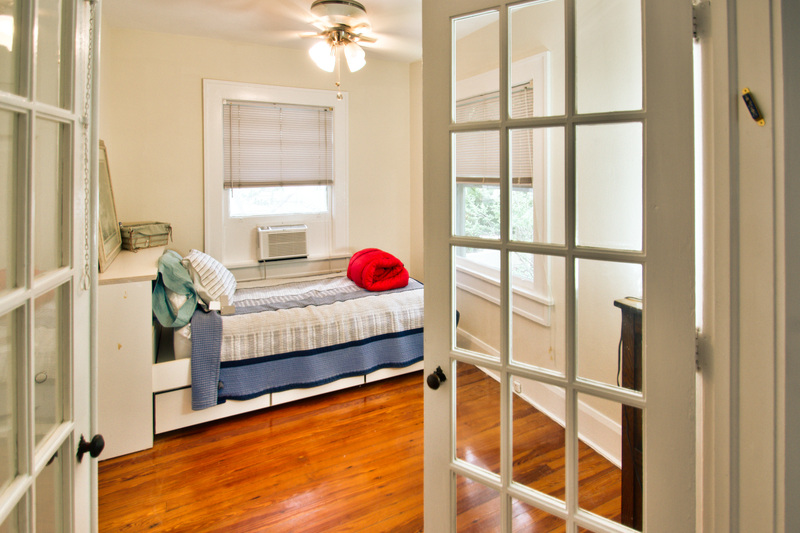 An empty room appears somehow sad, smaller than the same room with sparse furniture. Place only enough pieces of furniture to give buyers a dimensional perspective that an empty room cannot convey..
Less is better. Light and space are basic and necessary features. If you don’t have them, create them. If you have particularly nice flooring or large windows, for example, this is your story. Remove your heavy drapery or the overstuffed couch you enjoyed so many Saturdays slouched upon. Space, light, a bit of color and whimsy against a fairly neutral canvas, a single colorful painting, a large vase of fresh flowers on a table…. These Invite a smile. Create that mood and you’ll make the most of first impressions. 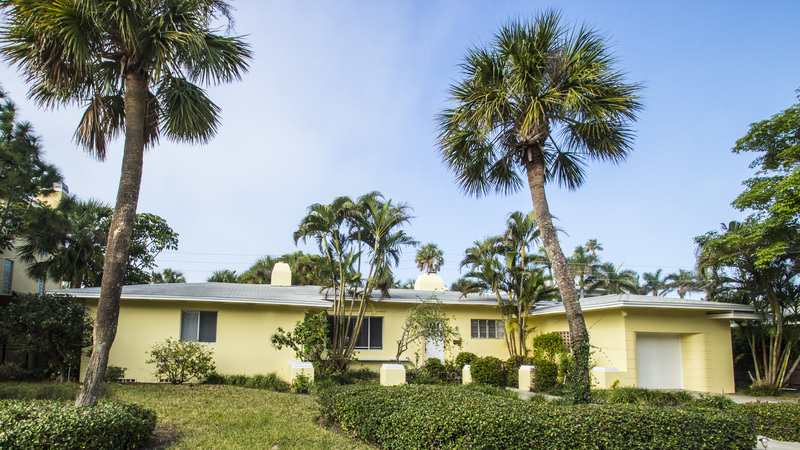 Classic mid-40’s 3 bed/3 bath home is located on a double lot only two doors from the dunes and the Gulf of Mexico, along a relatively private ten block section of beachfront. 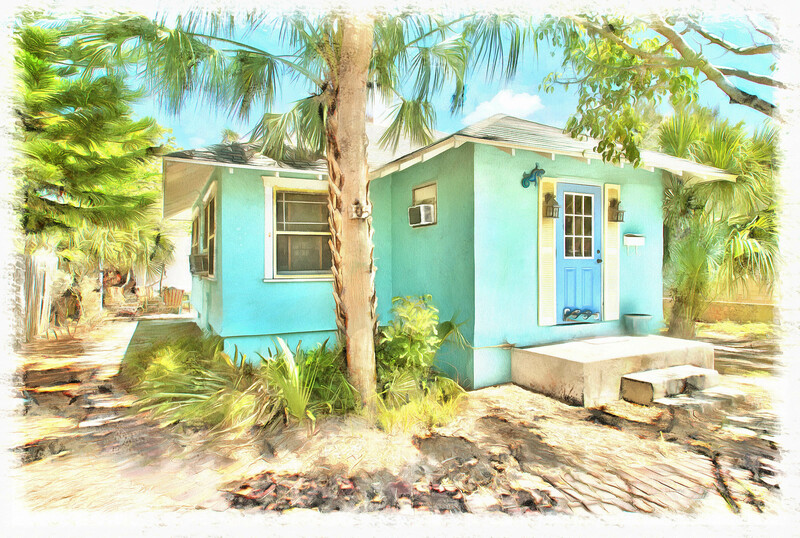 One of our Pass-a-Grille community treasures, this little 2/1 bungalow, built in 1925, is on the State Inventory of Historic Sites. Cherished by its current owners as a secret beach retreat since 2004, this dear home awaits its new history.